Samsung created quite a buzz when it debuted a built-in heart rate sensor on the Galaxy S5 back in 2014, but amazingly, not many other manufacturers decided to follow suit. It's really a shame, too, since data from a heart rate sensor would go perfectly hand in hand with the increasing fitness- and activity-tracking features that most smartphones sport these days. But as it turns out, you don't actually need to have a heart rate sensor built into your device to measure your current heart rate. Consider the way Samsung's heart rate sensor works, and you'll probably see why this is possible: First, an impulse of light is beamed into your finger, then the reflected light is measured by a separate sensor, and this data is interpreted as your current heart rate. Most Android devices actually have all of the requisite sensors from this scenario in the form of an LED flash and a rear-facing camera, so they just need the proper software to interpret the data that can be gathered. 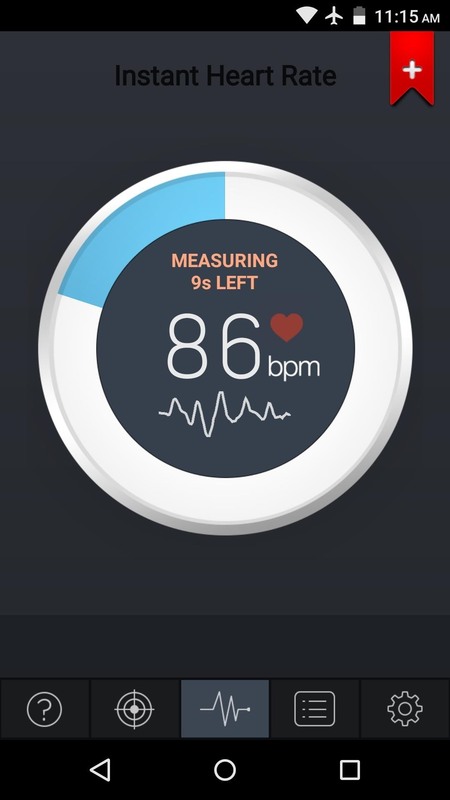 A few apps already take advantage of this creative juxtaposition of hardware and programming, and the resulting measurement is surprisingly accurate when compared to Samsung's purpose-built heart rate sensor. 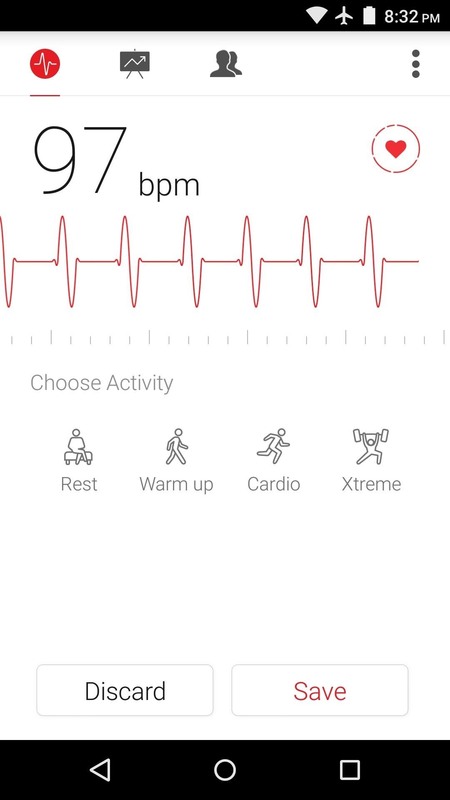 The first app on our list is called Instant Heart Rate, and like the rest of these options, it's available for free on the Google Play Store. 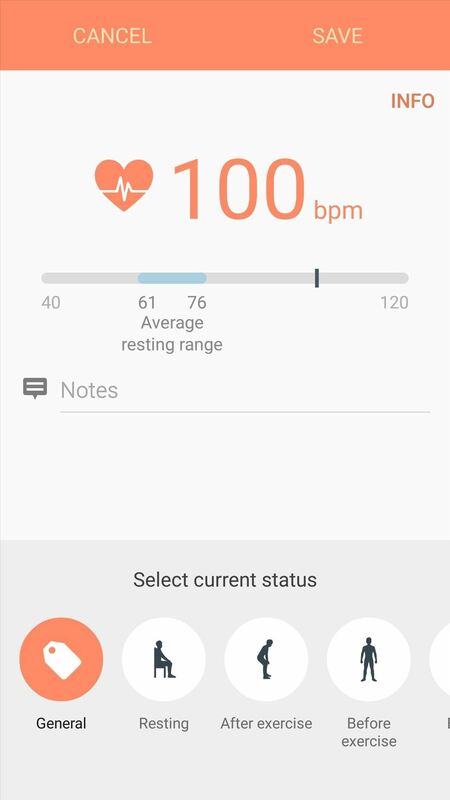 Aside from the obvious, Instant Heart Rate's most unique feature is that the measurements it takes can be synced to Google Fit. You'll get a quick tutorial when you first launch Instant Heart Rate, but essentially, all of these apps work the same way. You place your finger over the LED flash on the back of your phone, while simultaneously making sure that your fingertip entirely covers the adjacent camera sensor. 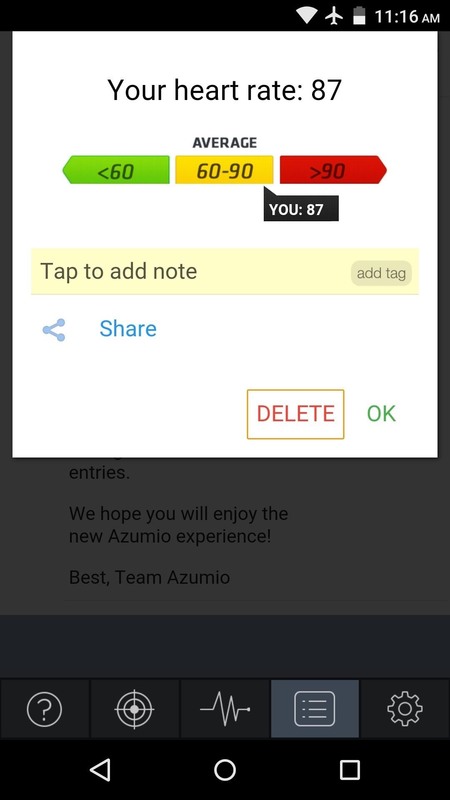 From there, just press the "Measure" button, then give the app about 15 seconds to do its thing. When it's done, you'll get your heart rate measurement, and from here, you can append notes to this measurement or share it to another service. (1) Measuring heart rate, (2) 87 bpm registered, (3) 85 bpm registered in S Health immediately after. 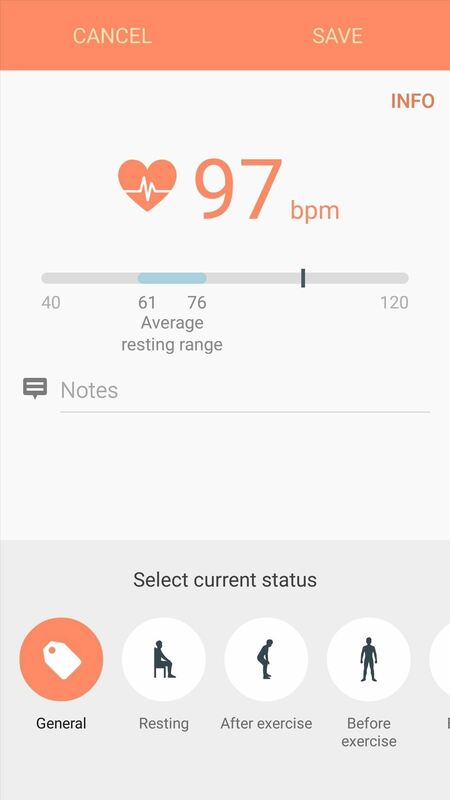 From my testing, Instant Heart rate almost always gave me a measurement that was very close to the results I got with the official S Health app on my Galaxy S6, which uses a purpose-built heart rate sensor to gather its data. The second option we have for you is called Runtastic Heart Rate, and this app integrates seamlessly with Runtastic's other fitness tracking services. Again, just place your finger over the camera sensor and LED flash on the back of your phone, then tap the "Measure" button. Once you've received your heart rate measurement, you can attach notes, specify an activity that you were doing at the time, and even enter you mood. 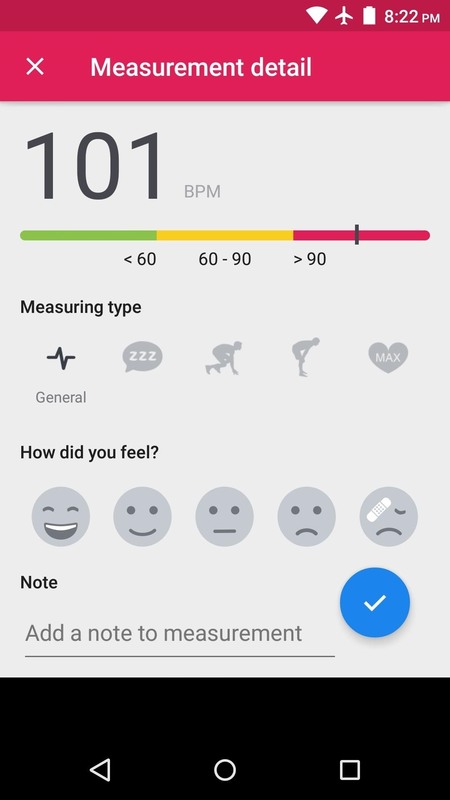 During my testing, this app compared just as well to S Health's official results as Instant Heart Rate, but the only downside I found was that you can only measure your heart rate 3 times a day if you're not a paid member of Runtastic's subscription service. 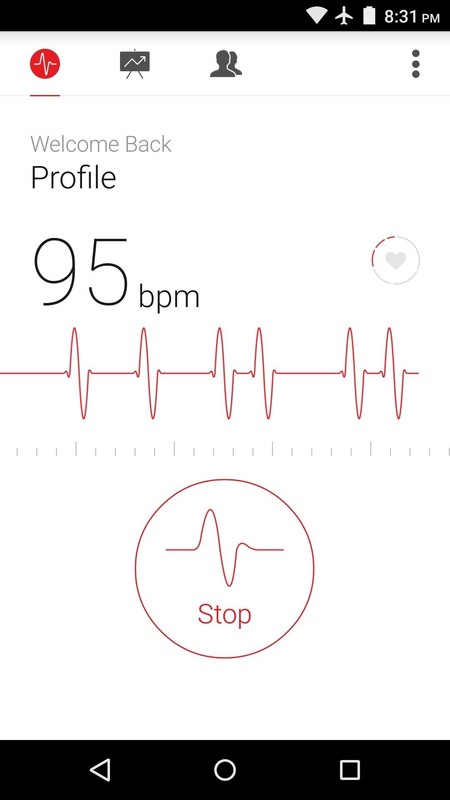 The third heart rate-measuring app on our list is called Cardiograph, and while it doesn't tie into additional fitness services like the other two entries, that could very well be a plus for a lot of people. The main functionality is exactly the same, so hold your fingertip over your camera sensor in a way that it's also covering the LED flash at the same time. When you get your measurement, you can associate activities, and the app will keep a running history of your past heart rate data. Again, when compared to the results from the actual heart rate sensor in my Galaxy S6, Cardiograph proved to be rather accurate. (1) Measuring heart rate, (2) 97 bpm registered, (3) 100 bpm registered in S Health immediately after. Of course smartphones are not medical devices, so you shouldn't rely solely on the information provided by these apps to make life-or-death decisions. But, considering their relative accuracy, these apps should certainly be a great add-on to your existing fitness tracking regimen. 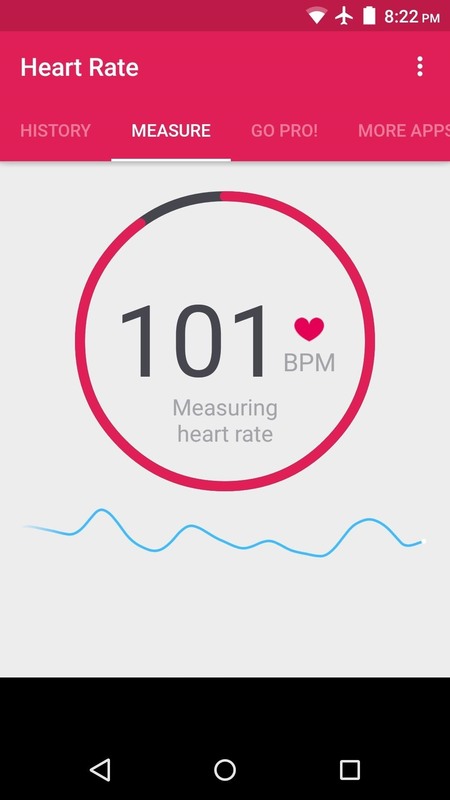 Which heart rate-measuring app did you go with? Let us know in the comment section below, or drop us a line on Android Hacks' Facebook or Twitter, or Gadget Hacks' Facebook, Google+, or Twitter. Gonna install one of these when I get home today!